This is the 7th book in the Miss Maud Silver series. James Paradine, the patriarch of the Paradine family, announces at a family dinner on New Year's Eve that one of his guests has betrayed the interests of the family. He also states that he will wait in his office until midnight to meet with the guilty person and discuss terms for handling the betrayal. Of course, by 12 o'clock he is dead. Just about everyone in the family is considered a suspect, some more than others, and one of the heirs brings in Miss Silver to clear things up. Why did I read this book? Because it begins with an event on New Year's Eve, and would be a good post for the end of the year. And because I have been wanting to read a Miss Silver mystery and I had heard good things about this one. The result? I was very pleased with this book. I had not read a book by Patricia Wentworth in many years and I was uncertain if I would still like them. The book was entertaining and a good choice to get back into reading the series. The book was set in the early 1940s. The New Year's Eve dinner is on the last day of 1941. I usually enjoy books set during World War II. This is the paragraph that introduces Miss Silver, almost halfway into the story. Miss Maud Silver was shopping. Even in wartime, and with all the difficulty about coupons, children must be warmly clothed. She was planning to make a jersey and pull-on leggings for her niece Ethel's youngest, who would be three next month. Ethel would provide two coupons, but that would not be enough. She would have to break in upon her own spring supply. It was of no consequence—her last summer's dress was perfectly good, and she had plenty of stockings. 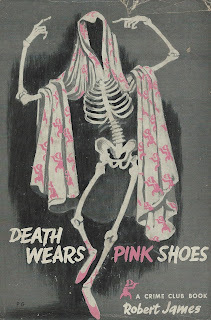 Of course it was very difficult for girls who wore these extremely thin silk stockings. Really you had only to look at them to see that they couldn't be expected to last. Miss Silver just happens to be in town, and one of the guests sees her and convinces Mark Paradine, one of James Paradine's heirs, to ask her to help with the investigation. I for one would expect the police to resent her interference, but we find that she has a reputation for helping out in such situations and that the police welcome her working with the family as a private investigator. Based on this book, Miss Silver seems to be the intuitive type of detective. Almost psychic in her ability to see through people and pick up on clues in their behavior and mannerisms. And I admire the way that she demands respect and doesn't allow people to manipulate her. I find myself waffling on romances in mysteries. Sometimes they are OK, sometimes they hinder my enjoyment of the story. It seems that often the Miss Silver mysteries have at least one couple with relationship problems. In this novel, the relationship between Phyllida, James Paradine's niece by adoption, and her estranged husband, who works for Paradine's company, is an important thread running throughout the story. And in this case, I liked that element. Other reviews at Clothes in Books, Pining for the West, and Noah's Archives. Source: I purchased my copy this year at the Planned Parenthood book sale. Two years ago I purchased a copy of The Big Book of Christmas Mysteries, edited and with an introduction by Otto Penzler. It is one of those huge books– around 650 pages with two columns per page, and 60 stories. I don't really like reading large books like that, too awkward, but every year now I pull it out and read a few of the stories. Mystery fiction set during the Christmas season has been with us for a long time, and it is astonishing how many authors have turned their pens and wicked thoughts to this time of year. Perhaps this is because violence seems so out of character, so inappropriate, for this time of year that it takes on extra weight. Think of how often terrible events have been recounted with the sad or angry exclamation, "and at Christmas time!" These are the stories I read and enjoyed this year. A police detective investigates a murder with his girlfriend, who just happens to be the DA's secretary, in the days leading up to Christmas. A clever and entertaining story. Not Christmassy but with descriptions of decorations on the streets, which I enjoyed. Some of the spectators, laden with tinsel- and evergreen-decorated packages, turned away, suppressing a nameless guilt. But the curious stayed on. Across the street, in the window of a department store, a vast mechanical Santa rocked back and forth, slapping a mechanical hand against a padded thigh, roaring forever, “Whawhaw ho ho ho. Whawhaw ho ho ho.” The slapping hand had worn the red plush from the padded thigh. The ambulance arrived... Wet snow fell into the city. And there was nothing else to see. The corner Santa, a leathery man with a pinched, blue nose, began to ring his hand bell again. 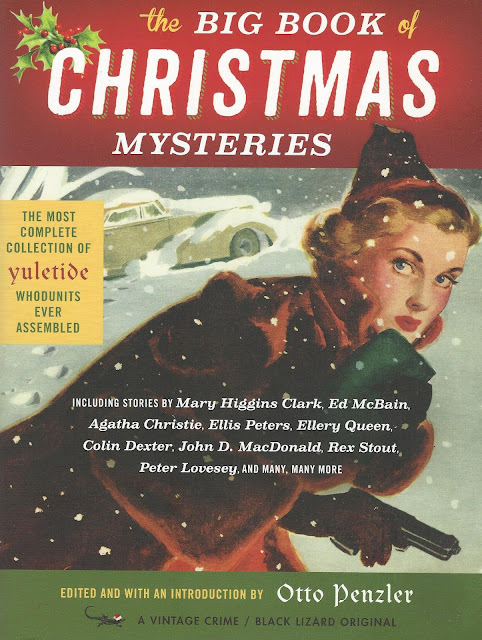 “Dead on Christmas Street” was first published in the December 20, 1952, issue of Collier's. The story is featured at The Trap of Solid Gold, Steve Scott's blog devoted to celebrating the works of John D MacDonald. The post has an illustration from the story as published in Collier's. Mr. William B. Aikins, alias "Softy" Hubbard, alias Billy The Hopper, paused for breath behind a hedge that bordered a quiet lane and peered out into the highway at a roadster whose tail light advertised its presence to his felonious gaze. It was Christmas Eve, and after a day of unseasonable warmth a slow, drizzling rain was whimsically changing to snow. The Hopper was blowing from two hours' hard travel over rough country. He had stumbled through woodlands, flattened himself in fence corners to avoid the eyes of curious motorists speeding homeward or flying about distributing Christmas gifts, and he was now bent upon committing himself to an inter-urban trolley line that would afford comfortable transportation for the remainder of his journey. Twenty miles, he estimated, still lay between him and his domicile. This is a long short story, really novelette length. Billy the Hopper is a retired thief who has settled down on a chicken farm with his wife (a retired shoplifter) and another retired criminal who has expertise in the care and feeding of poultry. One night he succumbs to an ill-advised impulse, and takes a roadster parked in front of a cottage. He soon discovers that the unattended car contained a small child, a 2 year old boy. Now Billy has to figure out how to return the child to his family without going back to prison. This is a fun, old-fashioned story. ALONG WITH BOOTH TARKINGTON , George Ade, and the poet James Whitcomb Riley, Meredith Nicholson was part of what was regarded as the Golden Age of literature in Indiana in the first quarter of the twentieth century. Although not an author whose works have stood the test of time well, he was a bestseller in his day whose fiction was governed by the invariable triumph of love and by insistence on the virtues of wholesome, bourgeois life, always told with good-natured humor. “A Reversible Santa Claus” was first published as a slim, illustrated book of that title (Boston, Houghton Mifflin, 1917). This story was not my favorite but it certainly is atmospheric. It is the formidable and harsh story of a brother whose wife has died and the sister he lives with. It was first published in the January 1950 issue of Ellery Queen's Mystery Magazine. Moira at Clothes in Books has also covered this story. This year I read two stories that featured cats. In "The Trinity Cat" by Ellis Peters, a lop-eared church cat helps a detective in his investigations. Using the name Ellis Peters, Edith Pargeter wrote two series of mysteries, the Cadfael Mysteries set in the twelfth century and the George Felse series. This story was first published in Winter's Crimes #8 (London, Macmillan, 1976). "The Christmas Kitten" by Ed Gorman is another long story with chapter divisions featuring characters from Gorman's series about lawyer Sam McCain and Judge Eleanor Whitney, and set in the 1950's. Each title in the series is the title of a song from that time. The kitten is incidental to the story and does not solve the crime, but is a very nice touch. I enjoyed revisiting these characters, if only briefly, and must get back to reading the series. “The Christmas Kitten” was first published in the January 1997 issue of Ellery Queen's Mystery Magazine. Last year I noted several Christmas stories I read in this book in this post. This book is set at Christmas. It may not contain much merriness and the festivities may be muted, but Christmas is there throughout the story. Doomsday Book is the first novel in the Oxford Time Travel Series by Connie Willis. The story begins in the 2050s when time travel has been successful in some cases, but is in the hands of historians at Oxford University. Kivrin Engel, a student in the Mediaeval History department at Brasenose College, is preparing to go back to the Middle Ages, 1320 to be exact, and Professor James Dunworthy is helping her, even though he thinks the trip is unsafe. After Kivrin has been transferred back in time, the story is told in alternating sections, following Kivrin's experiences in the earlier time, and Dunworthy's efforts to recover her from the past. As soon as the transfer has been made, Dunworthy suspects there is a problem with the drop. Badri, the technician who handled the transfer, comes down with a serious disease and cannot tell them what happened. Dr. Mary Ahrens who works in the infirmary is a friend of Dunworthy. The disease turns into an epidemic and she is soon consumed with caring for the sick and tracking down the origin of the disease. Her niece's son is visiting her for Christmas and Dunworthy ends up watching after twelve-year old Colin. That is the bare bones of the plot, although I have left out any hint of what Kivrin encounters in her travels. I would say about equal time is given to each time period. The book begins a few days before Christmas, so that Kivrin will have identifiable events to determine when she should be ready to be picked up and returned to her own time. I loved this book. I liked the characters and the way the story is told. It will go on my shelf of books to reread. Yet the story is not perfect by any means. The characterization is very good. In addition to the characters mentioned above, there are many other wonderful characters in both time periods. Both primary and secondary characters are well defined. Various types of relationships are explored with these characters. The author conveys the conditions of the Middle Ages very well, and I now want to read more mysteries set in that timeframe. This book has many parts that are just overwhelmingly sad, and that is primarily what I remember about it. But the entire book is not like that; although the events in both time lines are serious in tone there is also humor. Pacing is a problem, especially in the James Dunworthy time period. There is a lot of repetition and stalling. But I still enjoyed reading those portions, just got a bit irritated. There is not much explanation of time travel or its issues. I don't think that was the point of this book, but it is worth mentioning. If the reader is looking for technical explanations or discussions, this isn't the book to read. I cannot point to any specific issues, but readers have complained about incorrect use of terminology for the UK setting in some of the Oxford Time Travel series. I did not encounter any such criticism of this book. I think any reader's enjoyment will depend on what they are looking for in this book. For me, the book was exactly what I wanted and expected, and the good points outweighed the bad, which were merely minor annoyances. If you are interested in the series, this overview at Alan J. Chick's Pages looks to be a good resource. It tells more than I want to know about the books I haven't read, so I haven't read it all. This page at Connie Willis's blog gives a more concise overview of the series: Oxford Time Travel Guide. 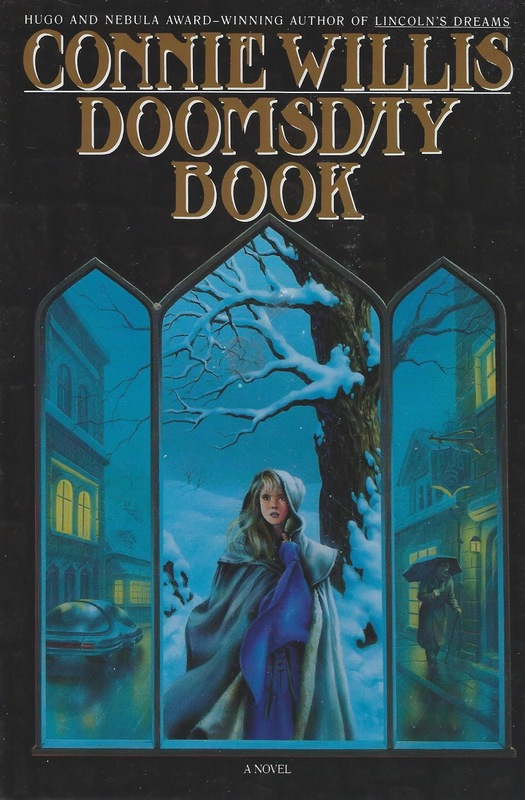 Doomsday Book was preceded by “Fire Watch”, a novelette, that is the first story in the Oxford Time Travel series. It was first published in Isaac Asimov’s Science Fiction Magazine, Feb 1982, and was later reprinted in the collection Fire Watch. I haven't read it and don't know if it is a good place to start, but I have a copy ordered. "Fire Watch" won the 1983 Hugo Award for Best Novelette. It is available online here. Susan D. at Joie de Livre first pointed me to this story. 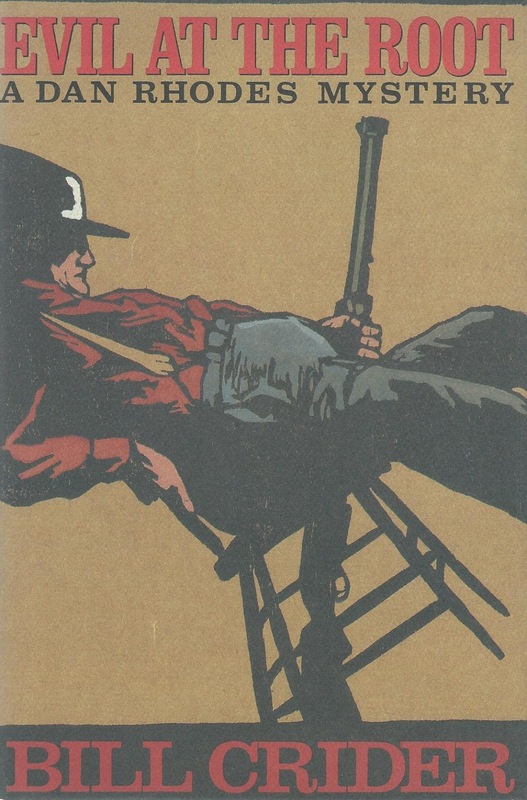 Dust jacket illustration by Tim Jacobus. Envious Casca, published in 1941, is a country house mystery, with a corpse in a locked room, and a smallish set of residents and guests who are almost all suspects. It has the traditional mystery plot with a family group is gathered together at Christmas, but in this case it is not the patriarch of the family who planned the gathering but his interfering, well-meaning brother. Joseph [the brother] was full of energy. It was nearly all benevolent, but, unfortunately for Nathaniel [the patriarch], who was not gregarious, he delighted in gathering large parties together, and liked nothing so much as filling the house with young people, and joining in their amusements. It was Joseph who had been inspired to organise the house-party that was looming over Nathaniel's unwilling head this chill December. Joseph, having lived for so many years abroad, hankered wistfully after a real English Christmas. Nathaniel, regarding him with a contemptuous eye, said that a real English Christmas meant, in his experience, a series of quarrels between inimical persons bound to one another only by the accident of relationship, and thrown together by a worn-out convention which decreed that at Christmas families should forgather. The "young people" do show up. Nathaniel is successfully induced to invite his niece, Paula, and her playwright friend, and his nephew, Stephen, and his fiancée. Plus Mathilde, a friend of theirs. This is a very Christmassy mystery, with decorations and planned festivities. Although most of the participants are not in a holiday spirit. Inspector Hemingway of Scotland Yard is called in on the case on Christmas Day, and is not at all happy about that situation. His arguments and interactions with his assistant Sergeant Ware provide some amusement. It took me a while to get into the story; the first quarter of the book is mainly setup, introducing us to the characters and their relationships. Unfortunately the book is mainly populated by unsympathetic characters; fortunately, their problems and entanglements were very entertaining. At about halfway in, I was fully hooked. For most of the book I had no clue who the culprit was, although towards the end it became clearer. Other reviewers have found it much easier to spot the killer, but either way, I don't think it matters. This is just a very fun book to read. I loved the humor and I was very satisfied with the ending. Georgette Heyer (1902-1972) is primarily known for her regency romances, but she also wrote 12 mystery novels. 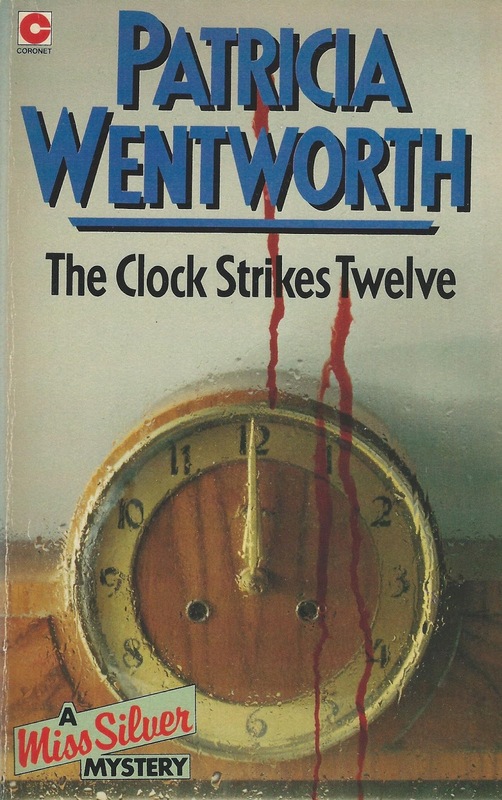 Four of them featured Inspector Hemingway, and this the 2nd novel in that series. Two posts at Clothes in Books here and here. This is the story of Anne Elliot, the middle child in a family of three girls; at the time of the book she is 27 years old. She lives with her father and her older sister; her mother died with she was young. Her younger sister is married with several children. The members of her family are pretty ghastly. Her father cares for none of his children except Elizabeth, the eldest, who is the prettiest but not a very nice person either. To them, our protagonist is "only Anne." Not to be considered, not to be consulted in decisions. The younger sister, Mary, is as selfish as the others, a hypochondriac, and given to flighty moods. Anne is quite different from the rest of her family. She is sensible, intelligent, considerate, and willing to help out where needed. She cares for her family but she does clearly see their faults. Her father has handled his money recklessly and his need to cut back causes them to have to let the family home to a well-to-do naval officer and his wife. As a result of this event, and related decisions, Anne comes back in contact Frederick Wentworth. At nineteen, she fell in love with Wentworth, and he with her, but Lady Russell, her friend and mentor, advised against their marriage and Anne gave in. Now Wentworth, a successful naval captain, has returned to England, but he continues to bear a grudge against Anne for giving into her family and rejecting him. This summary brings us about about a quarter into the book. Had I read this book first or immediately after reading Pride and Prejudice, I probably would not have loved it so much. At this point I am more familiar with Austen's style of writing. Persuasion is shorter than most of her books and gets straight to the point (or as much as Jane Austen is likely to do). There is much less repetitiveness. It does point out society's shortcomings, but it does not belabor those elements. It was the last novel Austen wrote and was published after her death. Thus it is a more mature novel, and certainly Anne is a more mature protagonist. Having read four other novels by Jane Austen this year, I feel more confident in being able to rank them. I have appreciated each one for its unique qualities, but at this point I would rank Pride and Prejudice and Persuasion at the top of the list, and Emma, Mansfield Park, and Northanger Abbey at the next level. I will be reading Sense and Sensibility in 2018. In this latest Sheriff Dan Rhodes adventure, Bill Crider sends the small-town Texas lawman to investigate the apparent theft of a set of false teeth from one of the elderly residents of the Sunny Dale Nursing Home. The case, which begins as one merely embarrassing ("Ah ain't got no TEEF!") quickly turns serious when the owner of the missing dentures, one Lloyd Bobbit, is found suffocated with a plastic grocery bag. The prime suspect is a fellow Sunny Daler, Maurice Kennedy, who was known to have had no love for the cantankerous Bobbit—a feud that originated way, way back in the youth of the two men. Now Kennedy is missing —but is he the killer or another victim? A secondary plot line involves a lawsuit against the sheriff, Hack the dispatcher and Lawton the jailer regarding alleged bad conditions at the county jail. The suit accuses those three men of neglect and charges that the county does not provide prisoners with adequate area to exercise, heating, cooling, plumbing, and the roof leaks. The county does need better facilities, but the charge of neglect is obviously untrue. I always enjoy returning to the world of Sheriff Dan Rhodes and his friends, family, and coworkers. In this book, Rhodes muses quite a bit about old age and nursing homes. He has to buy himself a pair of reading glasses, which he has been avoiding for too long. He worries about his weight. Rhodes is a widower with a 24-year-old daughter, and plans to marry Ivy Daniels, also widowed. As in the previous books, the relationship fits in nicely with the story. Rhodes and Ivy plan to be married at the courthouse, but, at one week until the ceremony, Rhodes has not even decided on the time of day or given any thought to where they will go for a honeymoon. How Ivy puts up with him I do not know, but they are clearly meant for each other. There is a charming scene where they are looking up records related to his current case in the courthouse records and he brings her pimiento cheese sandwiches for dinner. "My favorite," she says, and it is hard to tell whether she is being sincere or not. Hack and Lawton provide some comic moments when they tease Sheriff Rhodes by making him pull information out of them. Quite realistic, no doubt, but I find it more irritating than humorous. This is probably my only complaint about the series. The Sheriff Dan Rhodes series is a cozyish version of the police procedural genre. Rhodes' detection is based more on intuition and knowledge of people than the use of forensics or databases. The fun is in following the sheriff's investigation and seeing what difficulties he runs into before the facts all fall together before the (usually) unexpected conclusion. He does tend to forget about his own safety and go out on his own too much, running into violent altercations quite often. In this case he gets beaten up pretty severely, twice, both times having to spend a night in the hospital. Another thing I love about the series is the references to old movies and old (and new) mystery novels. Here, Rhodes falls asleep watching Sherlock Holmes and the Spider Woman, which we just watched in early October. 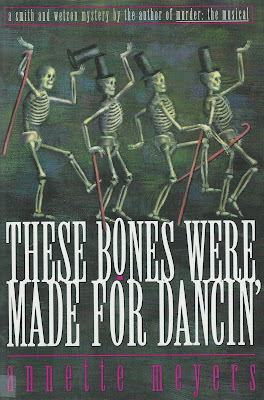 His friend Clyde Ballinger, the funeral director, has a collection of old mystery paperbacks. In this book he mentions The Lady Kills (1951) by Bruno Fischer and Drive East on 66 (1961) by Richard Wormser, which I had recently read about at Col's Criminal Library. 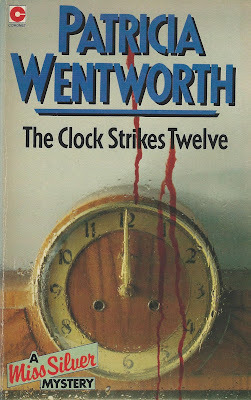 Bill Crider is an avid collector of paperbacks, mostly mystery fiction. This is the fifth book in Bill Crider's longest running series; there are a total of 24 books, and the latest book was published this year. Evil at the Root was published in 1990, and although computers were certainly used in police investigations back then, they were not as prevalent. So I am interested in seeing how Rhodes gradually adapts to the use of technology as the books move forward. This Friday, December 15th, will be Bill Crider Day at Patti Abbott's Friday's Forgotten Books at Pattinase this Friday. Please check out other posts there. Dust jacket painting by Lars Hokanson. I am joining the The Official 2018 TBR Pile Challenge! I participated in 2013, 2014, and 2015, then Adam at Roof Beam Reader put the challenge on hiatus for two years while he was writing his doctoral dissertation. Now it is back. 1) Read 12 books that have been sitting on your TBR shelf for at least a year. 2) The books must be listed in advance and the post up by January 15, 2018. Two extra alternate titles are allowed in case you run into a title that you cannot read or finish for any reason. I had sworn off challenges for 2018 because of doing so poorly at them in 2017, but the endless and growing TBR pile is my focus for this year. And I love to make lists. So here is my list and we will see how well I do with it. Max Tudor is the vicar of the very small village of Nether Monkslip, and the star of this amateur sleuth mystery. However, he was previously an agent for MI5, so he has a bit of experience. He gets called on to help in a behind-the-scenes role when a prominent member of the Women's Institute dies during the Harvest Fayre. A bit too cozy for me, but I plan on reading more in the series. So that is what I did. I found a copy of A Fatal Winter, book 2 in the series, because it is a traditional Christmas mystery. Lord Footrustle is extremely wealthy but also lonely. None of his relatives, except for his twin sister, Lady Baynard, have any love for him. He lives in Chedrow Castle with his sister and her adopted granddaughter. He invites his relatives and heirs to visit at Christmas, and they show up because they want to ensure their inheritance and possibly negotiate for more. All, and I do mean all, of the family members are unlikable. Very rich, very entitled, not in touch with the real world at all. That is the setup. On December 13th, Lord Footrustle is found in his bedroom, having suffered a violent death, which is clearly murder. Shortly after that on the same morning, Lady Baynard is also discovered dead, in her garden hothouse, but she appears to have died of natural causes. The death of Lord Footrustle and his sister so close together leads to questions of who inherits what. The visitors to Chedrow Castle are about equally divided between Lord Footrustle's heirs and Lady Baynard's heirs. DCI Cotton of Monkslip-super-Mare is in charge of the case. And he in turn calls in his friend, Father Max Tudor, ex-MI5 operative, to help with the case. The contrived reasons to explain why the vicar's presence is acceptable are somewhat unconvincing, but this is fiction, so that did not really bother me. I liked the detectives in this book very much: DCI Cotton, Sergeant Essex and Max. There were two other fun characters, the butler and his wife, the cook. They provided suspects not in the family and an outside view of the victims and family members. There were some niggles but they did not spoil the book overall for me. Max is almost too perfect and too hunky. Much is made of every woman being attracted to him. His love interest, who does intrude into the plot somewhat, is also perfect. The first book in the series was set in the village of Nether Monkslip and some readers missed that aspect of the series in this book. Not me; I preferred the castle and the closed circle of suspects. The author is from the US but has spent some time living in the UK. Although I did not notice anything myself, I am pretty sure there were some cases where incorrect words and terms are used. The author also pulls in too many references to real events and people of the times for me; I find that distracting. But all in all this was an engrossing read. I kept wondering who did it, and that was the kind of ride I was looking for. The resolution was well done and interesting. I felt like I should have seen it coming, but I did not. The story did not have a lot of depth but was entertaining. I enjoy reading this kind of book sometimes but I would not want a steady diet of it. I will be reading the third book, Pagan Spring, because I found a copy at the book sale this year. I read some of the George Gently books years ago, but all I remember is that the protagonist is a police inspector. Landed Gently is the fourth book in the series and the only one that I have read recently. In this story, Chief Inspector Gently travels to Northshire to visit with Sir Daynes Broke, the Chief Constable, and enjoy some pike fishing over Christmas. Thus this book may not be entirely representative of the series. Gently is visiting Sir Daynes for a vacation but of course he gets involved in a murder investigation. The second evening of his visit, Gently, Sir Daynes, and Lady Broke are invited to an informal party at Lord Somerhayes' home, Merely Hall. The next morning, one of Lord Somerhayes' guests is found dead at the bottom of a staircase. 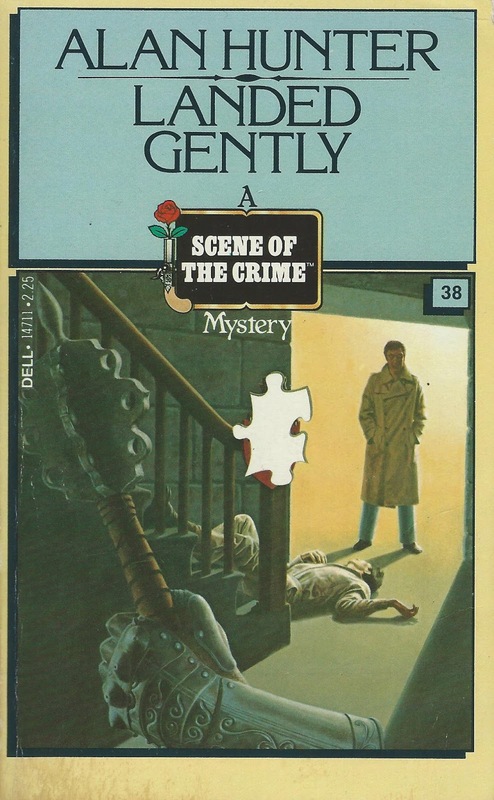 Gently cannot officially investigate the crime, but as a guest of the Chief Constable, he tags along for a visit to the crime scene and takes part in some interviews with witnesses and suspects. Sir Daynes actually does not want to admit that it is a crime but Gently is sure that the death was not accidental. This mystery novel had a large cast that confused me, with a lot of red herrings. But I found the hero, Inspector Gently, very charming and I liked that Gently is an outsider in this investigation. The author's writing pulled me into the story and I was very entertained. And it was set at Christmas. The book is prefaced by an "EDUCATIONAL NOTE"
In spite of himself, Gently couldn't help feeling a mild thrill of excitement as he and Dutt, laden with luggage and the precious pike-rod, plunged into the icy pandemonium of Liverpool Street Station. So many people going home – going home for Christmas! There were queues at every platform and every ticket window, surging crowds of people, burdened, like himself, with suitcases, parcels, Christmas trees, everything under the sun. How could one fail to catch the spirit? 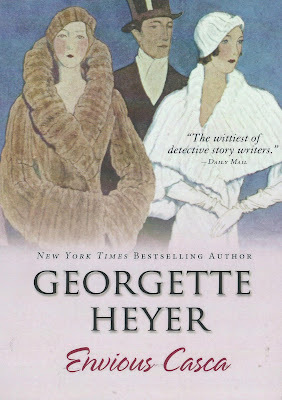 Written between 1955-1999, Hunter completed 46 novels across 45 years with punning titles like Gently Does It, Gently by the Shore, Gently Down the Stream, Gently Continental, Gently with the Ladies and so on. The popular BBC One television series George Gently and later Inspector George Gently were loosely based on Hunter’s novels. From Diss to Dunwich, Bury St Edmunds to the Broads, Gently found himself in locations across East Anglia and sometimes in London, Scotland and even Wiltshire. This is in contrast to the televised series which places Gently in Northumberland and Durham. See Katrina's review at Pining for the West. This book is sort of a fairy tale, but not really. I don't think it was written for children specifically but I am sure that it has been read to many children. I am also sure I will be reading this again a couple of times before I try to write about it. Once upon a time, in a gloomy castle on a lonely hill, where there were thirteen clocks that wouldn't go, there lived a cold, aggressive Duke, and his niece, the Princess Saralinda. She was warm in every wind and weather, but he was always cold. His hands were as cold as his smile and almost as cold as his heart. I am grateful to Joan at Planet Joan for sending me her copy of this book after she read it. 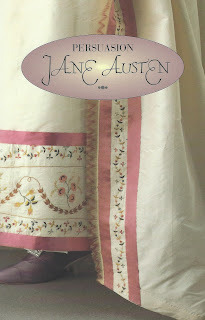 This was my fourth book by Jane Austen this year, which I read as a part of the Jane Austen Read All A-Long at James Reads Books. My thoughts on the book are HERE. The first novel in the Oxford Time Travel series. I have been wanting to read this book for a while and was determined to read it before I get to Black Out and All Clear by the same author. Now that I have read this book, I will read To Say Nothing of the Dog before the other two books. The events are set at Christmas; thus I read it in preparation for the Christmas season. I loved it. And these are the crime fiction books I read in November, which spanned the years from 1944 to 2017. This is the third DC Childs mystery, written by Sarah Ward. The series is set in the Derbyshire Peak District where the author lives. I have been a fan of the series since it started and this book did not disappoint. One of my favorite reads this year. My thoughts are HERE. This book is difficult to describe and I hope to do better in a later post. The events center around a motley group of tenants at No. 17 Crane Street in New York. 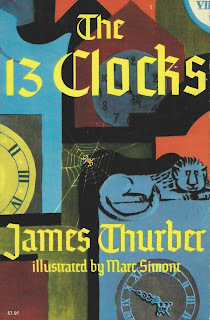 The story and the way it is told reminds me of the Inspector Schmidt books by George Bagby. It was a very fun read. Moira at Clothes in Books generously sent this book to me, since she knows my love for books with skeletons on the cover. This is the first in a series starring John Putnam Thatcher, senior vice president of Sloan Guaranty Trust. I have been rereading books from this series of 24 books and have enjoyed each one. This one is covered in my most recent post. 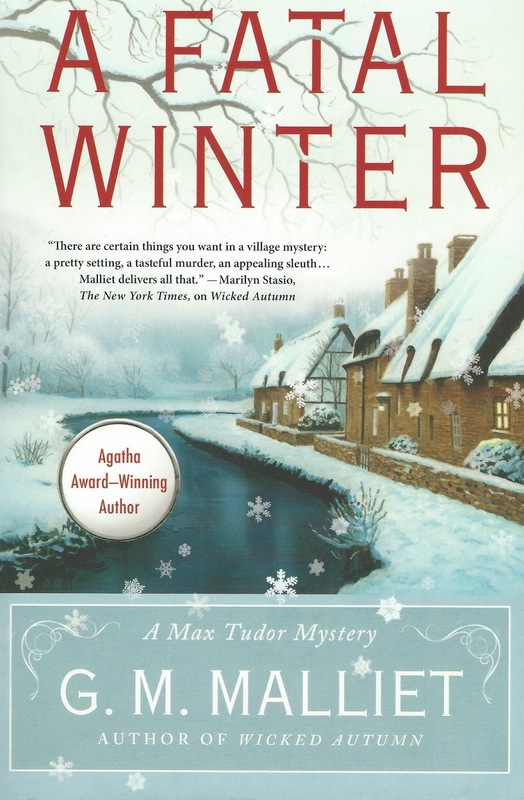 The cover of this book says this is a Gregor Demarkian Holiday Mystery. The story is set around Thanksgiving and involves a holiday cruise on a replica of the Mayflower. Later the series (now 29 books long) moves away from the holiday themes and takes on darker topics. I enjoyed this book, another reread. My thoughts on this book and the series are HERE. The 7th book in the Miss Maud Silver series. James Paradine, the patriarch of the Paradine family, announces at a family dinner on New Year's Eve that he knows that one of his guests has betrayed the interests of the family. He also states that he will wait in his office until midnight to meet with the guilty person and discuss terms for handling the betrayal. Of course, by 12 o'clock he is dead. Just about everyone in the family is considered a suspect, some more than others, and one of the heirs brings in Miss Silver to clear things up. This was the first Miss Silver book I had read in years and I think it was a very good book to get back into the series with. I found it very entertaining. This was the second book by Annette Meyers I read this year, and I like this one much more than the first one. Previously I read The Big Killing, the 1st book in the Smith and Wetzon series This month I skipped ahead to the 6th book in the series. Leslie Smith and Xenia Wetzon are headhunters on Wall Street. Smith was a dancer on Broadway many years back, and she and a friend are producing a revival of a show for charity. 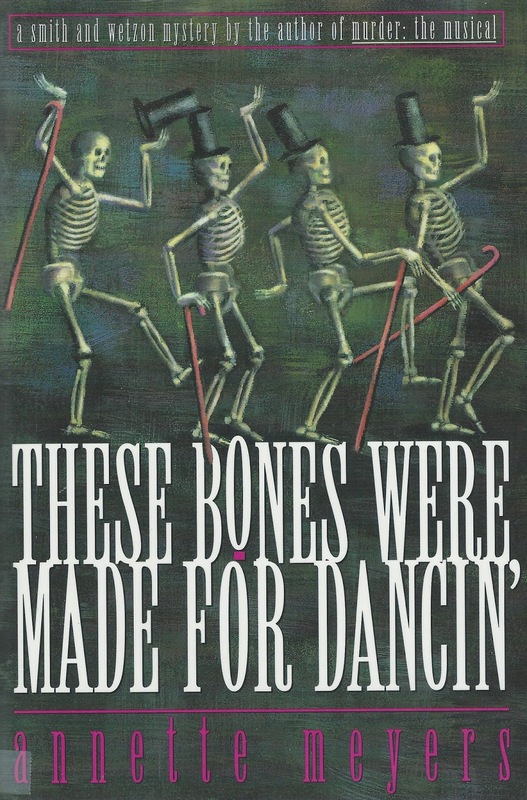 The skeleton of a woman is discovered in the basement of a brownstone, and it may be the remains of one of the dancers from the original show.